Two of the major spiritual and Christian centers of the world, Camaldoli, founded by S. Romualdo, the father of monarchism in 1012, and the Verna Sanctuary, where San Francesco of Assisi received the Sacred Stigmata on 17 September 1224, can be found immersed in the peace and silence of the forest. 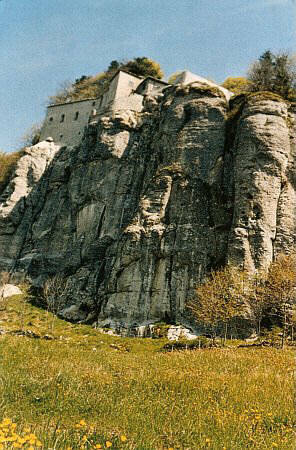 The monastery complex of Camaldoli consists of the holy hermitage and a monastery. After the hermitage, San Romualdo established a house on a lower level so pilgrims could enjoy strong moments of prayer with the monks. The monastery, built at the base of this hospice, acquired its actual characteristics in the XVI century and contains two cloisters and a church that was restored in 1700 that house some of Vasari’s works. The pharmacy was built in 1543 and furnished with antique walnut wardrobes and objects that were used by the monks to prepare their medicines and ointments that are still being produced today. 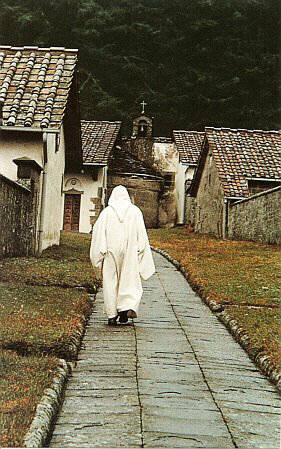 Among these, is the famous Laurus, herbal liquor from the forest that is still produced entirely by the monks. The Holy Hermitage of Camaldoli is situated at 1111 meters above sea level and is delimited by an ample boundary wall that encircles the church and the hermit monks’ cells, each one surrounded by its own orticello. The church, the cell of San Romualdo, the antique library, the hospice, and the refectory are not to miss! The thousand-year-old Camaldolese forest surrounds the hermitage on three sides and adds ulterior charm and meditation to it. The forest once belonged to the hermit monks for many centuries. Every year, they had to see to diligently planting 4-5000 plants. Even today, Camaldoli continues to be a significant place for prayer and meditation for everyone interested in anything having to do with God.